Dynamic wetting plays an important role in the physics of multiphase flow, and has a significant influence on many industrial and geotechnical applications. In this work, a modified smoothed particle hydrodynamics (SPH) model is employed to simulate surface tension, contact angle and dynamic wetting effects at meso-scale. The wetting and dewetting phenomena are simulated in a capillary tube, where the liquid particles are raised or withdrawn by a shifting substrate. The SPH model is modified by introducing a newly developed viscous force formulation at the liquid–solid interface to reproduce the rate-dependent behaviour of the moving contact line. 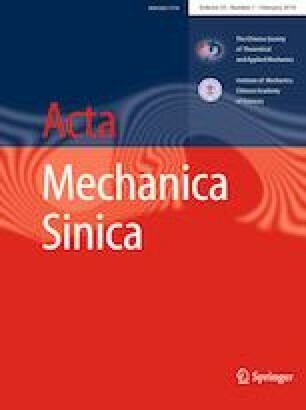 Dynamic contact angle simulations with the interfacial viscous force are conducted to verify the effectiveness and accuracy of this new formulation. In addition, the influence of interfacial viscous forces with different magnitude on the contact angle dynamics is examined by empirical power-law correlations; the derived constants suggest that the dynamic contact angle changes monotonically with the interfacial viscous force. The simulation results are consistent with experimental observations and theoretical predictions, implying that the interfacial viscous force can be associated with the slip length of flow and the microscopic surface roughness. This work demonstrates that the modified SPH model can successfully account for the rate-dependent effects of a moving contact line, and can be used for realistic multiphase flow simulations under dynamic conditions. This work was supported by the Australian Research Council (Grant DP170102886) and the University of Sydney SOAR Fellowship. This research was undertaken with the assistance of the HPC service at University of Sydney.